In order to get rid off from typing the password again and again, we allow our browser to remember the password.Of course, this will save our time and we do not have to type the password every time. But this have its own Merit and Demerit. Do you know this password can be acesses by anyone easily. If you are using Internet, then there are many Virus that will stole your all saved password. I have register License version of Antivirus, So "No Problem"
If you think you have a register version and you do not have to fear about the password save, then let me tell you one thing. If you are using a public computer or some one else is also using your computer, then he/she can easily check your saved password. password are always store in encrypted formed, i mean in dot dot dot format, it can not be seen. If you are thinking that password can not be seen in normal Alphanumeric format, then you are wrong. it can be seen in normal format easily with in one click only.No computer is required. So if possible then do not save your password in your browser unless it is your private Personal computer. If Saving a password has its own demerit, then on other side it have merits too. 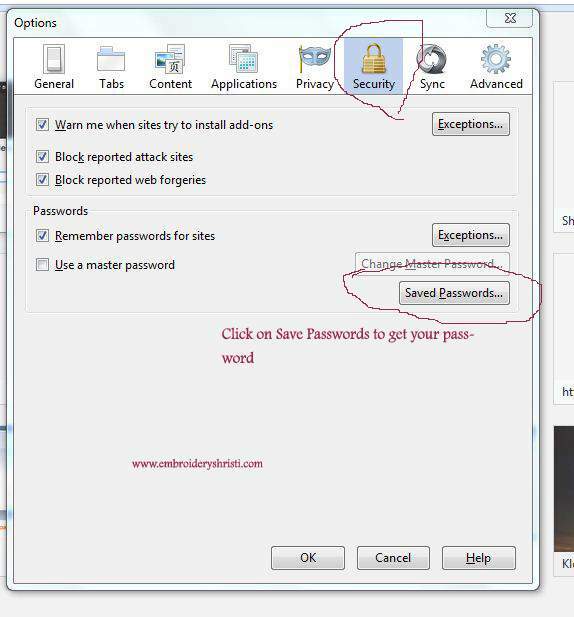 You can save the password and get get the rid off from typing the password again again.Further, it is boon for the Individual who can not remember the password. The password appear when sign in to email account are in encrypted formats that is in dot dot dot format.How can i check the my password? You want to check your password? It really easy to check the Original password saved in your browser. Click on 'Option' tab.It will open a new diagolue box with various options. Then,click on Security tab from the option available. On security tab, you will find the options to look for the save password.All the password are saved over there. Then there you will get the option to 'Show' the password of selected website. Then in search box type 'password', as shown in below image. In the above image at the end there is a options to 'Managed Saved Password', click on it to see the saved passwords. 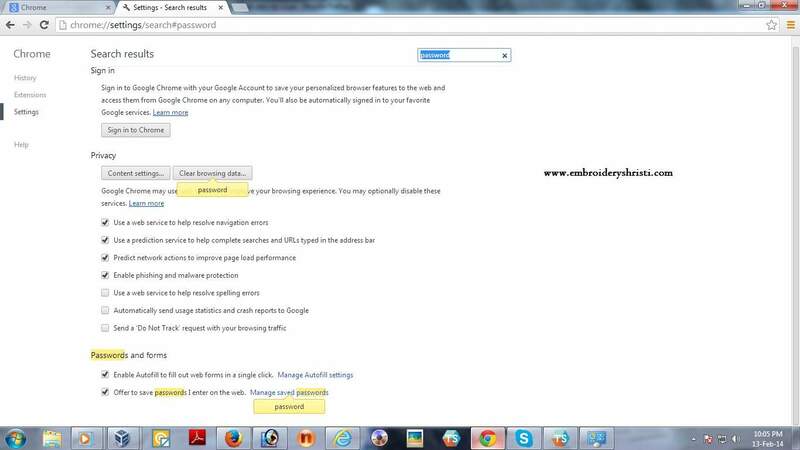 Above all are the steps to check the password saved in browser.Of course you can check the password if in case you forget the password.But remember, it is also easy for others to check your password easily when you are not around or any threats can easily stolen your password saved in your browser if you do not have a good Internet Security.